Terry here once again for which I am most grateful. 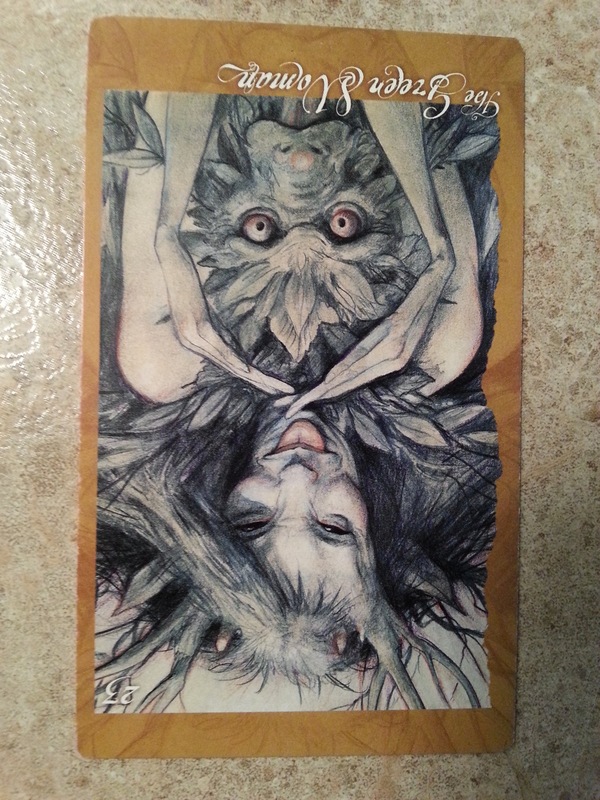 This morning the faery have asked me to pull a card from The Faeries’ Oracle by Brian Froud. Our card comes from: The Green Woman #23 in the Reverse position. She tells us “ when her energy is blocked, growth is stunted. Twisted the energy of growth goes awry, and we move in directions that are either dead ends or simply inappropriate for us. Or perhaps we try to shift from one extreme to another, between growth and stasis, which only yield twisted, stunted and warped results. In its destructive mode, the energy of growth is wild. Cancers both physical and emotional, may result. Message from Terry: The first thing the Green Women said to me when I flipped the card upright was “Really?” I understood in that moment that this is a challenge from Her Wildness. Time to be clear people, choose. Choose to listen to your soul, feel the rhythm it speaks to you and embrace who you truly are in this lifetime, the dark, the light, or both. BE WHO YOU REALLY ARE IN THIS LIFE. Taste, feel, move to your inner beat. Be not afraid the fun has begun and you will feel whole, alive, and pure energy will move through you. Making you strong, happy, healthy and ALIVE. Be Your Green Self, so Vibrant and Full. Or you can choose to ….?? ?